All first through sixth grade students receive weekly formal art instruction for forty-five minutes. 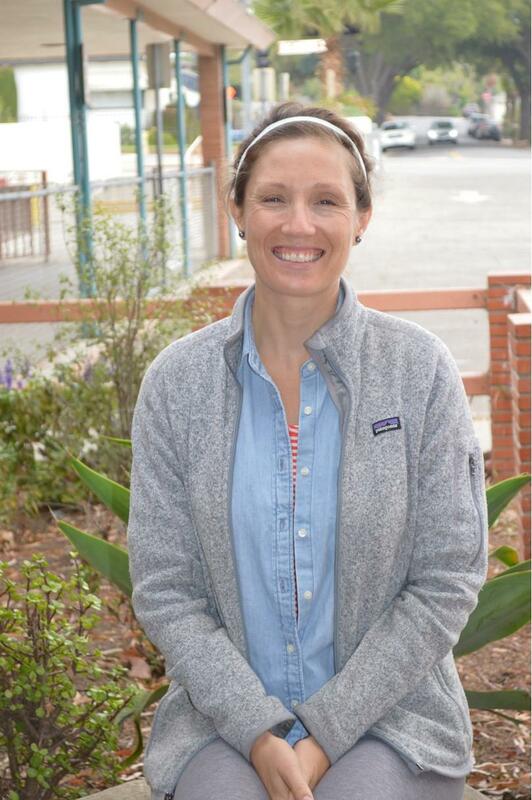 We are excited to introduce our talented and creative art teacher, Julia Elliott. She has been a wonderful asset to our specials rotation at Adams, where our kids feel empowered to express their creativity every day. Julia continues to inspire and encourage her students and we feel very fortunate that she's a part of our Tiger community!" Tell us about how you came to be the teacher of our art program at Adams? "I actually didn't realize I wanted to be a teacher until I moved to Santa Barbara from the East Coast 6.5 years ago to work for the ICAN (Incredible Children's Art Network) as a teacher's assistant at Adelante Charter School. Before moving here I studied architecture and Spanish at the University of Kentucky. After just a few short days in the Adelante Art Room, however, I realized how much I enjoyed working with children in an educational setting and 5 years later received my single subject credential in art from Westmont College. I have worked at six schools in Santa Barbara in this amount of time and am absolutely thrilled to be at Adams for my second year as the head teacher. I feel very fortunate to have been able to take over the art program from my good friend, and former ICAN teacher, Magda Barnes." Would you walk us through the curriculum &/or upcoming projects that students will be working on this year? "I think it's important and fun to change up the curriculum each year, but I will still be teaching many of the same projects from last year. One of my main goals this year is to collaborate on bigger projects with other teachers at Adams. Students have already made artwork that will contribute to a new mural on campus and are in the process of creating work that will be a part of an altar for the Dia De Los Muertos celebration we will be having at school in October. I'm really looking forward to continuing to collaborate with Mr. Federbusch in the Design Center, since design is also one of my passions, as well as broader, seasonal projects with Mr. Larsen." Can you recall specific challenges your faced during your tenure at Adams? How did you problem solve? "The biggest challenge I've faced in past 2 years at Adams is twofold. Not only has is been my first and second year as a teacher, but I've also needed to adjust our art program after our former program, ICAN, was absorbed by the District. The first year especially involved a very steep learning curve as I got to know the students and the school and they got to know me. Very quickly, I gained confidence in my abilities as a teacher and I learned how to reach out and ask for help. I reached out quite a bit to the community, parents, and PTA and felt very much supported in the response I received, including having quite a few regular volunteers the second half of the year. This year I already feel significantly more relaxed, confident, and comfortable in my capacity to teach, thanks to the amazing school community and PTA at Adams. I feel so much more supported and valued than any school where I have worked, or for that matter, any other job I've ever had!" Looking ahead, what do you envision for the future of the art program at Adams? "In the future I see the Art Program being even more connected to community partners, including the VADA (Visual Arts and Design Academy) at SBHS, the Santa Barbara Museum of Art, and Art from Scrap. I believe that by partnering with local businesses and professional artists, students will be able to see that art is an integral part of their lives as well as it being a viable career option. I hope to continue to bring in more parent and community volunteers so that everyone can see the creativity that happens in the art room and what amazing artists we have here at Adams!"